In celebration of our recent Best Cheeses of the Year issue, we’re featuring four cheese plates representing each region of the US. We loaded up these platters with our favorite local artisan accompaniments. This week we feature cheeses and pairings from the American South in a hot and spicy spread you can escape into. Nestled in the scenic foothills of South Carolina, Split Creek Farm has been crafting award-winning feta using milk from their own herd of goats for over three decades. Their marinated feta is soft, crumbly, and melts in the mouth. Each cube is juicy with olive oil, exploding with a medley of Mediterranean flavor. We loved scooping up the feta with hearty spicy sesame Firehook crackers. They bring the perfect amount of crunch and heat. This hickory-smoked pasta filata-style cheese from Oklahoma is dense and chewy, like beef jerky. Made using Jersey milk from a local Amish farm, the cheese is hand-braided, brined, and air-dried before smoking. It’s rich and buttery with a satisfying smokey flavor that begs for something acidic. We love the burst of tangy flavor these pickled Okra bring. The subtle hint of chili flakes adds depth in between bites of smoky cheese. This wrinkled miniature wheel from Missouri is delicate and fudgy, like a cheesecake. The paste is dense with flavors of toasted sunflower seeds and rich cream, perfect for something sweet and tangy. The South has a surprisingly deep history of chutney-making, so we complemented this cakey cheese with a sweet peach chutney from Virginia Chutney Company. Roots & Branches’ toothsome olive oil crackers bring a welcome crunch without overwhelming the flavors of peaches and cream. 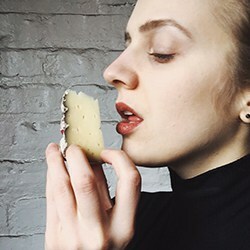 Smooth and fruity with an earthy rind, this raw-milk cheese from Tennessee has it all. The firm, golden paste is studded with cheese crystals and lush with notes of hay and butter. Cut into thin triangles and dollop Jammit Jam’s garlic pepper jelly. The spicy spread is kissed with coconut rum, adding a wholesome complexity to this buttery cheese.